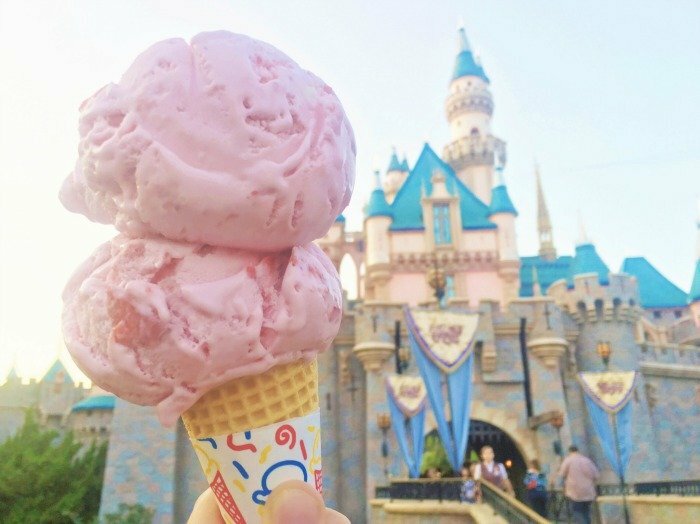 One of the things that I get asked about the MOST is how to save money on Disney trips, so today I’m sharing 5 Ways to Save on Spring Break at Disneyland which will hopefully help you to find your way to the happiest place on earth this spring! The Disneyland Resort during 2018 is going to be bigger and better than ever, which means that Spring Break will be unlike any other. The Happiest Place on Earth is going to be packed full of returning favorites and brand-new experiences that you’ll never forget. 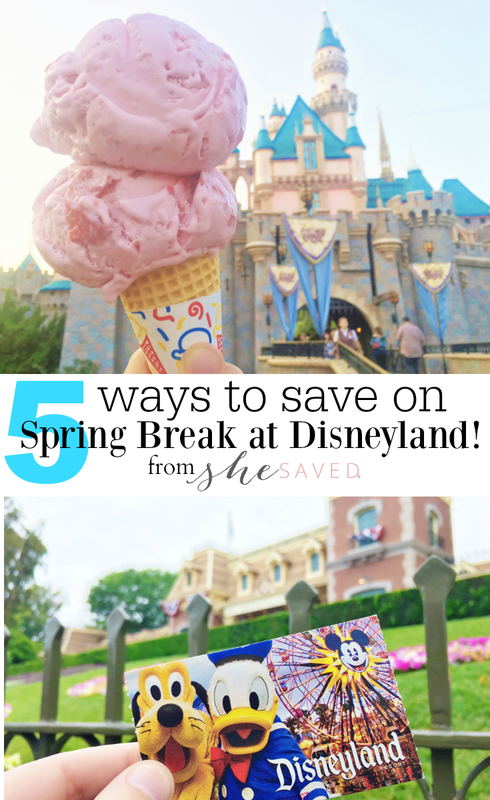 Because of this, I’ve partnered with Get Away Today to give you 5 ways to save during Spring Break at Disneyland. Extra Day Free – Who doesn’t want an extra day to spend in Disneyland? 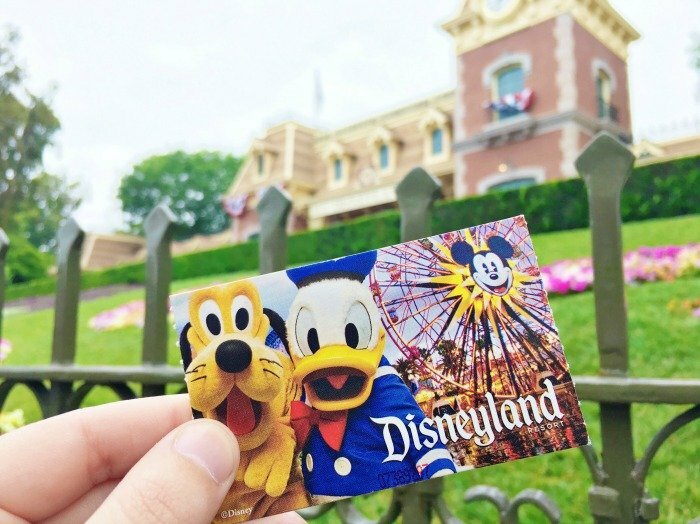 Right now, you can get a 5-Day Disneyland Park Hopper Ticket for the price of a 4-Day ticket when you book with Get Away Today. With so much to do during Spring Break, you’ll need an extra day for all of the fun. Experience the beloved Food and Wine Festival at California Adventure starting March 2nd through April 12th. Plus enjoy the premier of Pixar Fest, a celebration of friendship and love, coming to the Disneyland Resort on April 13th. Extra Night Free Hotel Specials– With Get Away Today, you can take advantage of Extra Night Free hotel specials. Not only will you be able to get the best rates at some of the most popular Anaheim hotels, but exclusive amenities just for Get Away Today guests. Enjoy free breakfast, free parking, reduced resort fees and more. With all of the money you’ll save, you be able to spend it on souvenirs, treats and memories while you’re at the parks. MaxPass – Another way to save time and money is to take advantage of Disney’s MaxPass service. 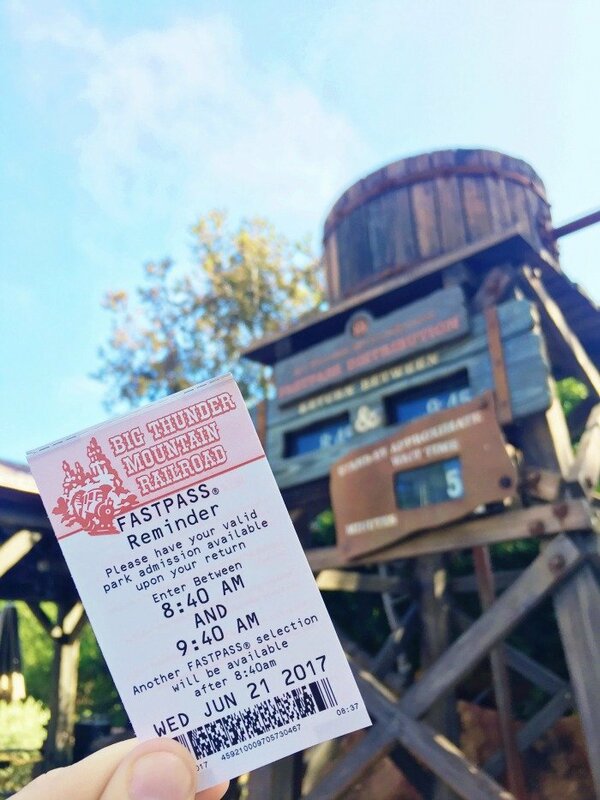 MaxPass is an add-on to your Disneyland ticket that allows you to reserve FastPass tickets straight from your phone. It also includes Disney PhotoPass. You’ll be able to download and share all of your photos from your magical Disney day. Although MaxPass is an additional $10 per-person, per-day, I totally think it’s worth the extra cost because of all the time it will save you. Plus, you don’t have to purchase MaxPass every day of your stay. I recommend using it on one or two of your busiest days at the parks. 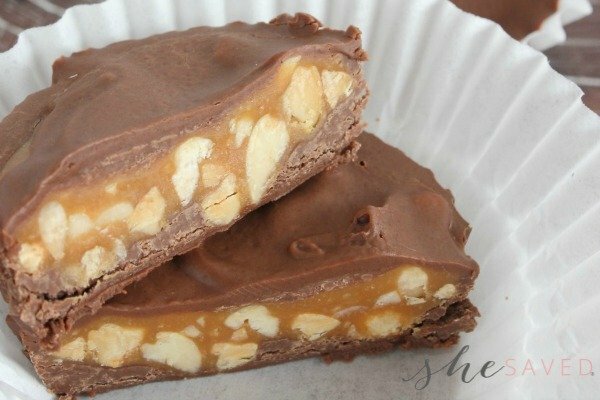 Bring Snacks & Eat at Value Restaurants – If you’re looking to save money within the parks, I would recommend bringing some snacks with you. While you can’t bring a cooler to the park, you can certainly bring fruit, granola bars, and chips (just to name a few) in a bag to keep you energized throughout the day. When you’re ready to eat a meal, try one of Disneyland’s value restaurants or head over to Downtown Disney. 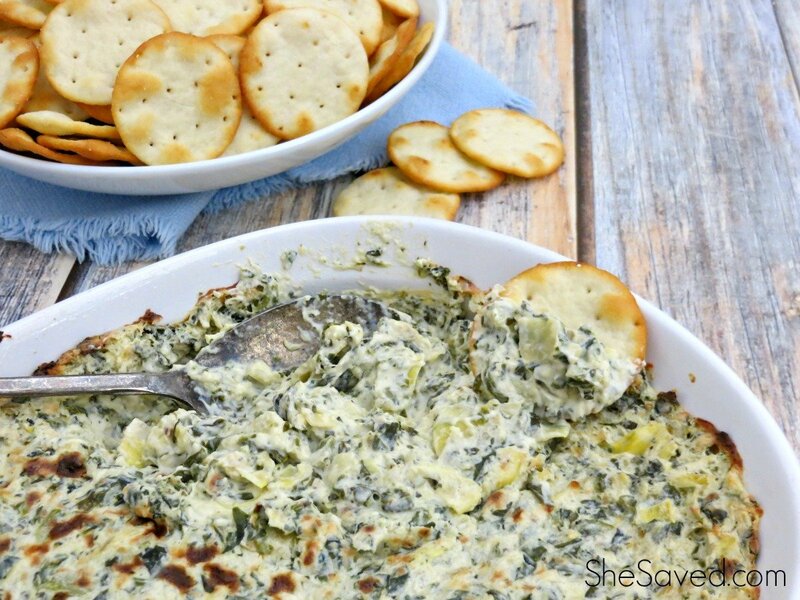 Here, you’ll be able to find less expensive options and even some plates that are big enough to share. Some of my favorite places to eat are Earl of Sandwich, Boardwalk Pizza & Pasta and Bengal Barbecue. Combine and Save – When you combine tickets and a hotel stay with Get Away Today, you’ll save even more on your Disneyland vacation. Plus, you’re never penalized for booking early. If you find a better deal throughout the year, Get Away Today will apply it to your package. No questions asked! Get Away Today makes it affordable for every family to make their vacation dreams come true. Now that I’ve shared some of the (rare!) 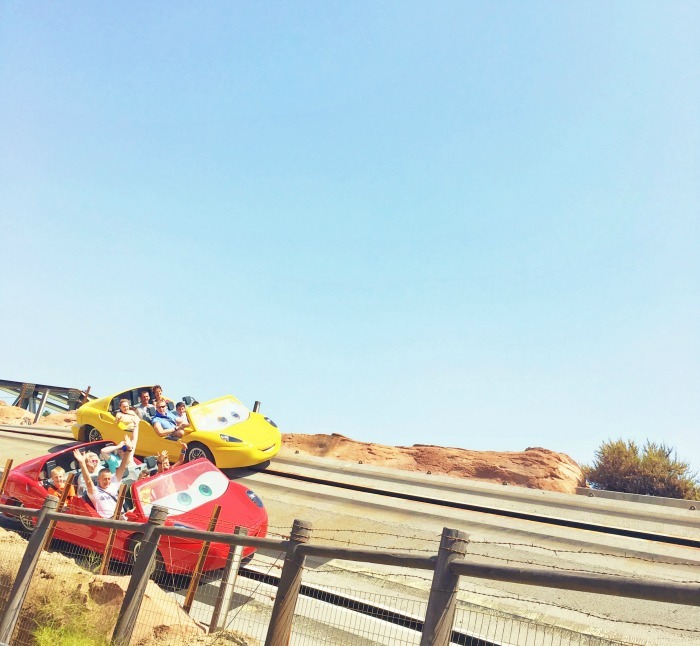 ways to save on your next Disneyland vacation, what are you waiting for? To book your Spring Break trip, visit getawaytoday.com or call 855-GET-AWAY to speak to a travel expert directly. Plus, use promo code SheSaved to get an additional $10 off your hotel and ticket package. Make sure to mention that SheSaved sent you!